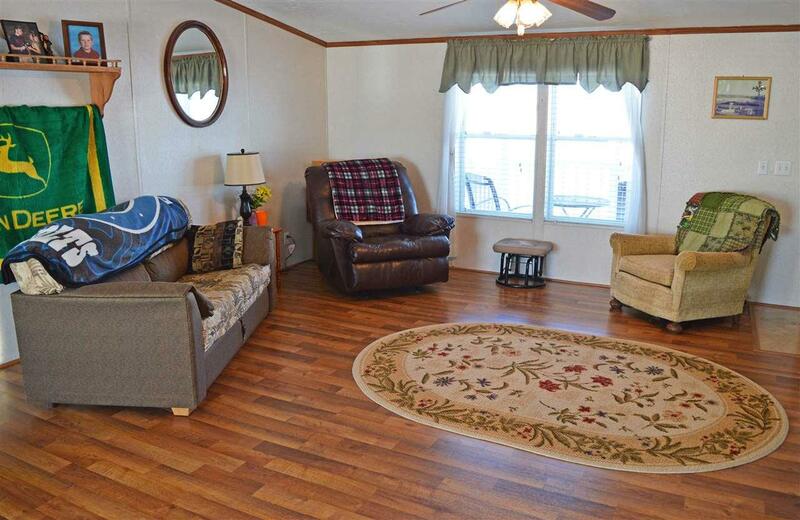 Immaculate 3 bedroom 2 full bath manufactured home on one acre. 2 car attached garage + storage shed. Meticulously maintained! 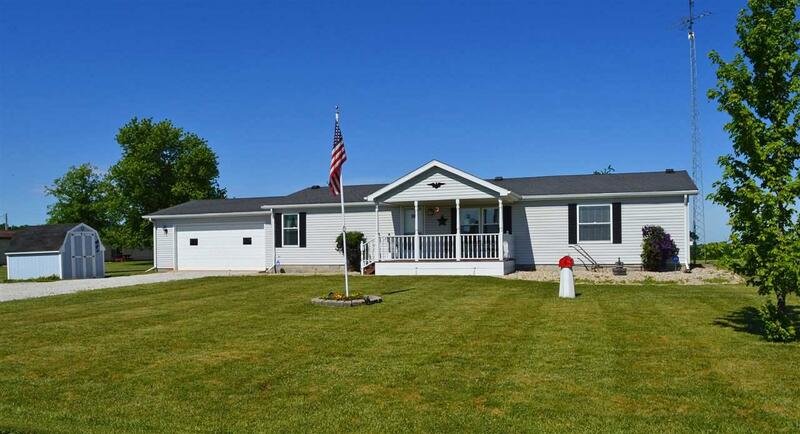 Wonderful covered front porch to catch that country breeze. Open, split-bedroom floor plan. 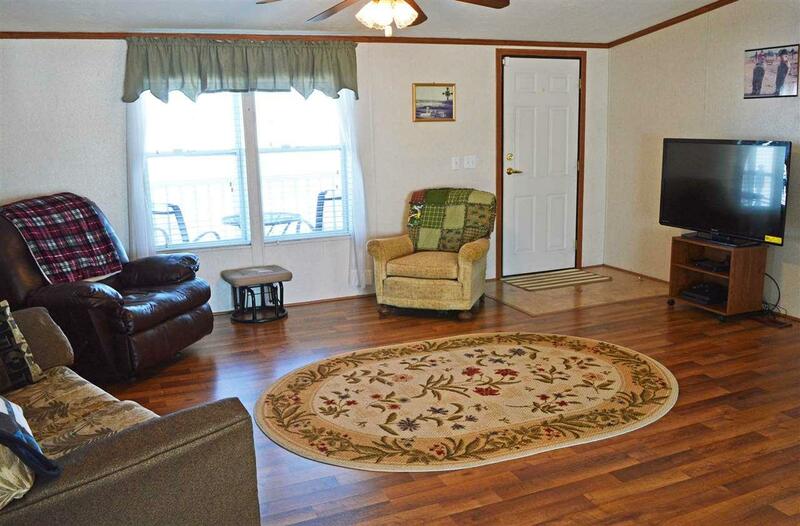 All kitchen appliances stay - refrigerator, range/oven, dishwasher. ADT system available to keep at ($52.99/mo). Perimeter drain, sump pump & new foundation anchors 2016. Furnace & central air new 2015. 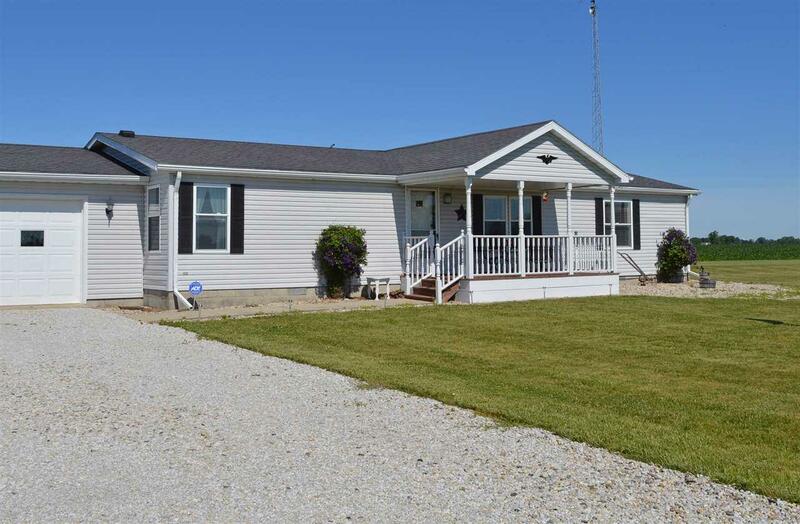 Peaceful rural location south of Upland, just 2 miles from Shamrock Lakes. Eastbrook Schools. Immediate possession! Listing courtesy of Bev Fisher of Tate Real Estate, Llc.